The only drive in memory I can give you is that a few years ago now they did a mobile outdoor film screening locally in the UK and put the stereo sound out on the radio so people could listen in the car. Not quite to style of a USA drive in but a fairly unique event for us. My first experience was in '88 at a venue that was located in the Buena Park/Anaheim (CA) area. The double feature program was "Shakedown" and "The Serpent and the Rainbow". That was fun. We had the small speaker attached to the window. 10 years later, I went on a roadtrip through Maryland, Virginia, West Virginia, Kentucky, Ohio, Pennsylvania, New York, Massachussets and Connecticut to visit as many amusement parks as I could. This gave me opportunity to go off the beaten track and travel through small towns. And there were a few abandonned Drive-ins along the way. I took many pictures but my camera was stolen later on the trip. Most recent experience was two days ago, in Paris at Grand Palais (large exhibition venue with a glass roof) where we watched The Big Lebowski seated in little Fiat 500s. That wasn't too good. Even with headphones we could still hear the nearby disco, with occasionnal blinding by same disco lightshow shining from the edge of the screen. I am five years old, and weeks away from my first day of Kindergarten (didn't like it, would never recommend it!). Mom and Dad and my sister and I are vacationing at a summer camp up in the Lake George region of upstate, New York (My sister told me there was a SHARK in the lake while we were out in a canoe!) and discover the Starlite Drive-In just down the road. So one night we motored over there in my Mom's yellow 66 Mustang coupe (V8, 289CID) and saw "You Only Live Twice" with Sean Connery. I had never seen a movie before and I still remember the chopper dumping the car load of bad guys in the ocean and the bad guy's space ship snatching the US and Soviet space capsules in mid orbit. Mom and Dad were worried about the impression Mr. Bond's usual...romantic escapades might have on a little kid like me, but my own hormones were about 6 years away from even noticing! I remember the big screen and the speaker on the pole, and will never forget that movie either. I am 20 years old and having some muffler issues with my first car (1968 Ford Fairlane, V8, 302CID). My friends told me they knew how to fix it so I drove out to their house, we went to Sears and bought some pipes and clamps and a muffler and set about replacing most of my exhaust system. We wrapped up around dark so we decided to go to the Westbury Drive-In and see my old friend Sean Connery in "Right is Wrong". The movie really wasn't all that memorable, but several things stood out that night. First of all, you never really appreciate how filthy your windshield is until you go see a movie at a Drive In. Second was that there were no longer speakers on poles, but being that I was a 20 year old guy I had a stereo that cost me more than my car and that FM stereo signal came through just fine. 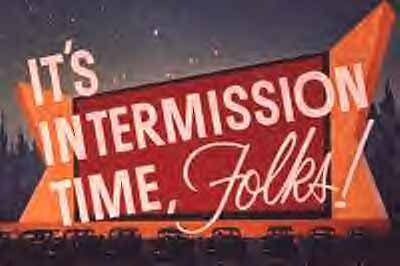 PPS: The Westbury was the last Drive-In on Long Island and it too closed in 1998. This was the last time I attended a drive in movie near home. You don't know what you have until it's gone! I grew up in upstate South Carolina. My dad worked in a textile mill and my mom was a stay-at-home mom. 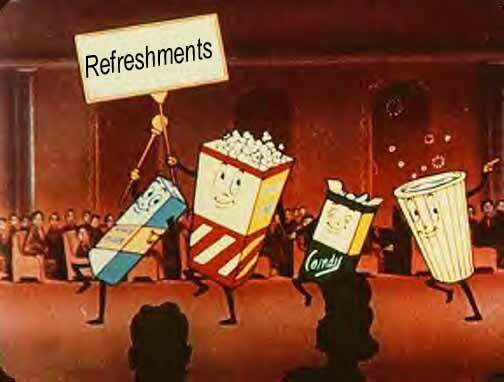 Money was tight, so all during the 1970s and early '80s we were heavily dependent on the local drive-ins to stretch our entertainment budget. Now, my Dad was often gone for long stretches, sometimes all day, sometimes all night. Mom said he was working 12-hour shifts at the mill. When he was home, he was often conked out in bed. Some nights we'd go to the drive-in to catch an all-night, dusk-to-dawn horror show, and Dad would stretch out in the driver's seat and go right to sleep. As a kid, all I could think was, Gee, Dad really isn't much of a movie buff. It even made me grumpy when Mom would occasionally ask us boys and our young aunt to keep it down in the back seat. "Your Dad has to get up and go to work," she'd say. Many years later I was leaving a friend's house at the crack of dawn. I was reflecting on the fact that my friend lived in an apartment complex that had been built over the site of a long-defunct drive-in. One memory unlocked another, and I flashed back to all the times we had left the drive-in at sunrise after a night of monster movies. I thought of how tired I was in that moment... and how tired my dad must have been all those years before. Yet he was willing to sleep in his driver's seat in order that his family could have a night of fun at the movies... then turn around and work twelve hours in one of the noisiest, grimiest work environments I can imagine. My dad was not a perfect man... but boy, am I proud and thankful to be his son. And as much as I miss the White Horse, Augusta Road, Cedar Lane, Belmont, and Greer Drive-Ins, I miss my dad with all my heart. 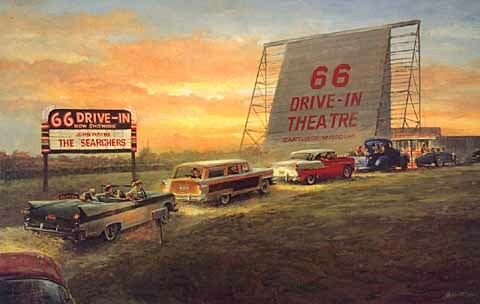 One summers evening in the 1960's my wife and I went to the Port Drive in near Williamsport Pa. They were showing Russ Meyer's Vixen!. It turned out to be a memorable night! What wonderful stories...thanks for this topic, Paul. 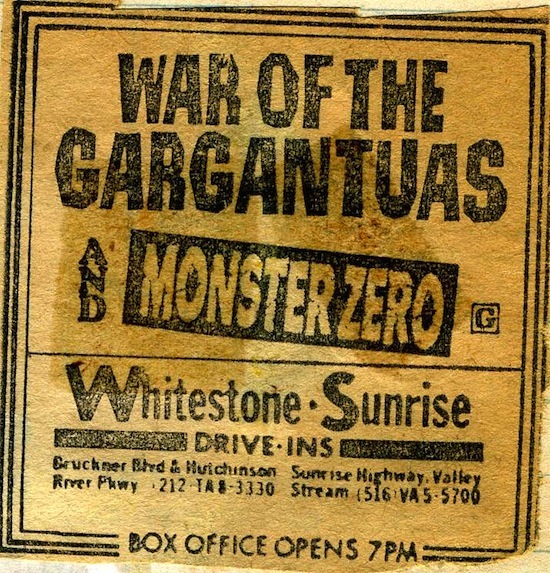 I remember the box office of the Whitestone Drive-In handing out rubber monsters to kids in the cars. There was also a playground where we could tire ourselves out before the movie started. NO COST TO THE INDIVIDUAL SHOWMAN, , THEY'RE SHOWING YOUR PRODUCT !, There, I've got that off my chest.